==1157== Memcheck, a memory error detector. ==1157== Copyright (C) 2002-2008, and GNU GPL'd, by Julian Seward et al. ==1157== Using LibVEX rev 1884, a library for dynamic binary translation. 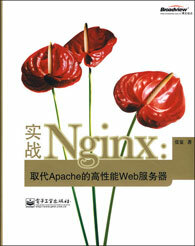 ==1157== Copyright (C) 2004-2008, and GNU GPL'd, by OpenWorks LLP. ==1157== Using valgrind-3.4.1, a dynamic binary instrumentation framework. ==1157== Copyright (C) 2000-2008, and GNU GPL'd, by Julian Seward et al. ==1157== malloc/free: in use at exit: 28,471 bytes in 36 blocks. ==1157== malloc/free: 166 allocs, 130 frees, 51,377 bytes allocated. ==1157== searching for pointers to 36 not-freed blocks. ==1157== definitely lost: 0 bytes in 0 blocks. ==1157== possibly lost: 0 bytes in 0 blocks. ==1157== still reachable: 28,471 bytes in 36 blocks. ==1157== suppressed: 0 bytes in 0 blocks. ==1157== Reachable blocks (those to which a pointer was found) are not shown. ==1274== Memcheck, a memory error detector. ==1274== Copyright (C) 2002-2008, and GNU GPL'd, by Julian Seward et al. ==1274== Using LibVEX rev 1884, a library for dynamic binary translation. ==1274== Copyright (C) 2004-2008, and GNU GPL'd, by OpenWorks LLP. ==1274== Using valgrind-3.4.1, a dynamic binary instrumentation framework. ==1274== Copyright (C) 2000-2008, and GNU GPL'd, by Julian Seward et al. ==1274== malloc/free: in use at exit: 402,291 bytes in 74 blocks. ==1274== malloc/free: 15,939 allocs, 15,865 frees, 6,281,523 bytes allocated. ==1274== searching for pointers to 74 not-freed blocks. ==1274== definitely lost: 255 bytes in 5 blocks. ==1274== possibly lost: 0 bytes in 0 blocks. ==1274== still reachable: 402,036 bytes in 69 blocks. ==1274== suppressed: 0 bytes in 0 blocks. ==1274== Reachable blocks (those to which a pointer was found) are not shown.